Do you believe vampires are real? 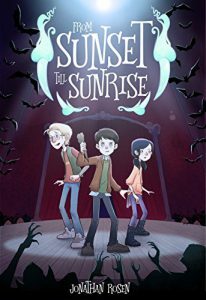 well, if you don’t then tune in as author Jonathan Rosen talk about his latest middle-grade book From Sunset to Sunrise which is all about poorly-dressed wizards to angst-ridden vampires to evil little sisters. It is a second book in the Devin Dexter series and a sequel to NIGHT OF THE LIVING CUDDLE BUNNIES, first in a series of scary/funny books from SkyPony Press. Jonathan is an expert in mixing two completely opposite genres – horror and comedy. This spooky book is full of good humor for readers of all ages, but especially middle graders. The story is about a 12-year-old boy named Devin Dexter whose cousin thinks Devin’s new neighbor is a Vampire! Get your cup of coffee ready, and let’s get to know all about From Sunset till Sunrise! Jonathan Rosen is a transplanted New Yorker, who now lives with his family in sunny, South Florida. He spends his “free” time chauffeuring around his three kids. Some of Jonathan’s fondest childhood memories are of discovering a really good book to dive into, in particular, the Choose Your Own Adventure Series, and Hitchhiker’s Guide to the Galaxy. Jonathan is proud to be of Mexican-American descent, although neither country has been really willing to accept responsibility. He is the author of Night of the Living Cuddle Bunnies, which is out now. You can find him on Twitter, Facebook, FromtheMixedUpFiles.Com, The Tuesday Writers and his own website, HouseofRosen.com. Visit Amazon to check out the book, read reviews and book your own copy! How did Jonathan decide to write horror stories for kids? 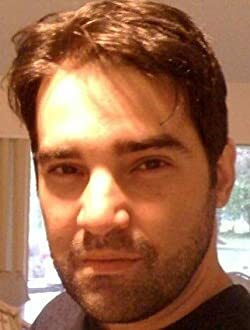 What inspired him to write From Sunset Till Sunrise: Devin Dexter #2? Why does Jonathan think people LOVE to be scared? Some of the psychological, and social reasons people crave thrills and chills. What projects are Jonatan working on now? Where online can people find Jonathan? A big Thank You to Jonathan for talking to us and sharing his story with our listeners! We are very excited to see what he does next! We hope you have enjoyed listening to this episode and be sure to keep your eye out for his future books! Read NextCome Experience “The Magic of Norumbega” with Lenna Kutner! !